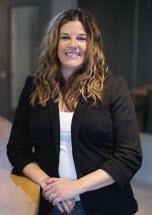 Attorney Lauren Osgood was born and raised in Toledo, Ohio. She graduated from the University of Wisconsin-Madison and later received her law degree from Capital University in 2009. She is licensed to practice law in the State of Ohio and has also been admitted to practice in the Southern District of Ohio. She has represented thousands of injured workers seeking compensation and assistance through the workers’ compensation system and in Common Pleas Courts throughout Ohio. Lauren has been a speaker in several forums and conferences on effective representation of injured workers for continuing legal education and others individuals seeking to assist people injured in the workplace. Lauren resides in the Columbus area with her family.